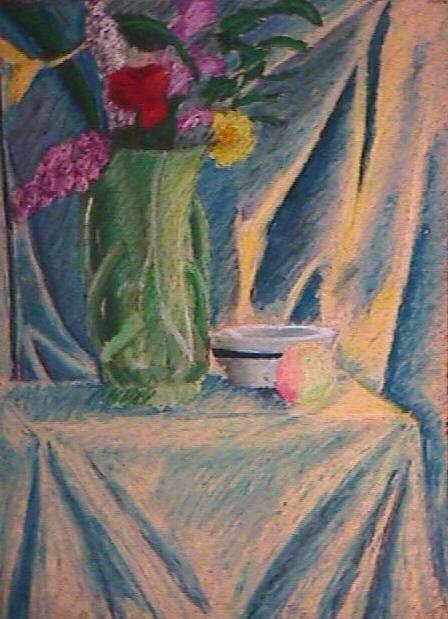 This is my favorite oil crayon drawing. One interesting point in this drawing is that the styles of the bowl and the rest are completely different. I started with the bowl and was trying to make it as realistic as possible. The rest was done much more loosely. The cloth was also a precursor to my impressionistic attempts.